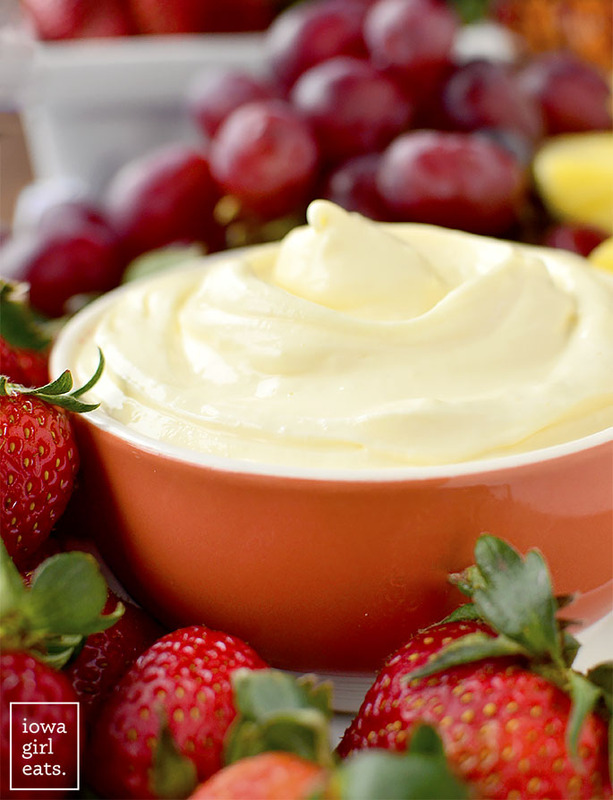 The Best Fruit Dip Ever is made from just 3 simple ingredients. 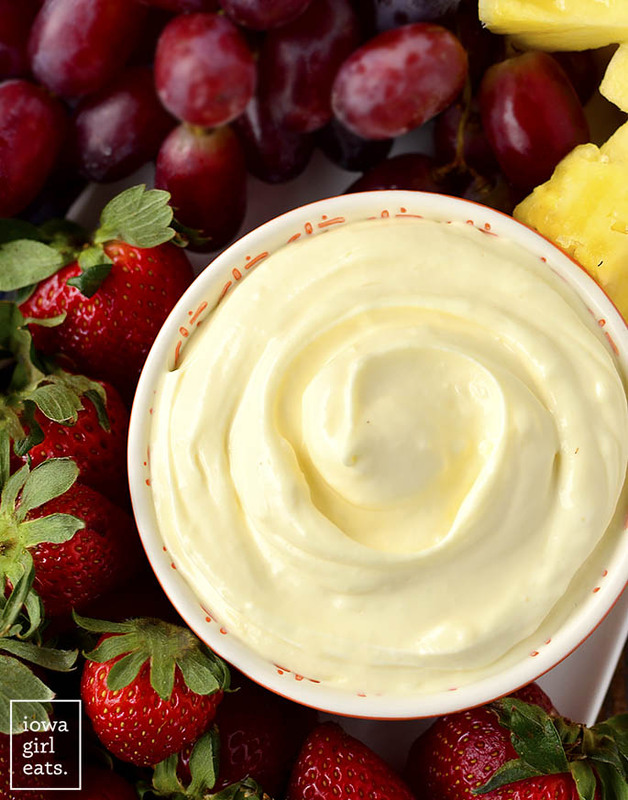 This gluten-free fruit dip recipe will be a hit at your next holiday gathering, party or potluck! For the past couple of months I’ve been sharing a “Top 5” post on Facebook every Friday morning, with links to the top 5 IGE posts as determined by your clicks and shares that week. Thanks, Google Analytics! It’s one of my favorite posts to draft up each week because data is semi-thrilling to me. Where’s my pocket protector. 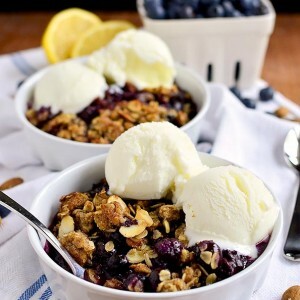 Around this time of year it’s not surprising to see a crock pot recipe, skillet dinner recipe, or soup recipe make the list – what WAS surprising though, was seeing The Best Fruit Dip Ever claim top spot one Friday morning earlier this month. It’s been going gang busters lately! Maybe you’re in the mood for spring? Baby/wedding shower season is starting up again, or I don’t know…just can’t resist the combination of marshmallow fluff, cream cheese, and orange? Yes, yes, and oh HECK yes. 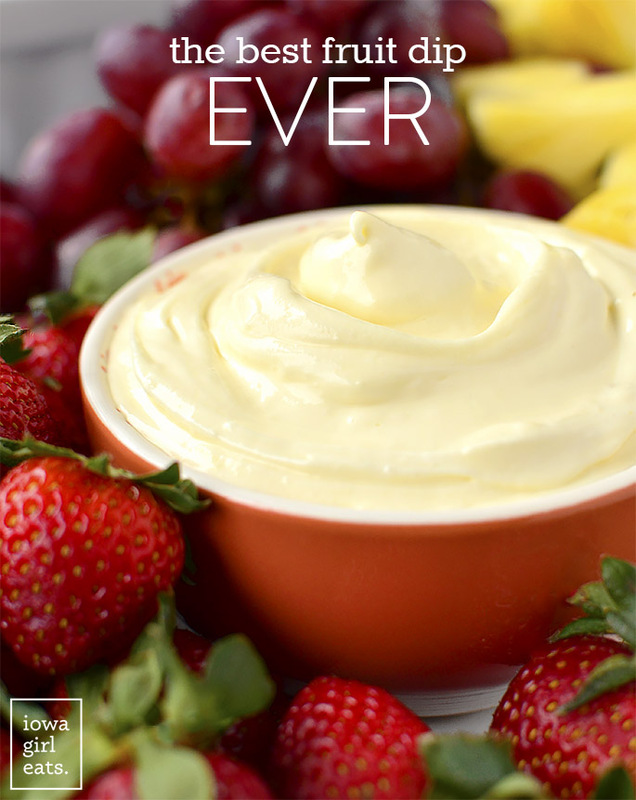 I guess it would be helpful to tell you that I first shared the recipe for The Best Fruit Dip Ever back in 2012. 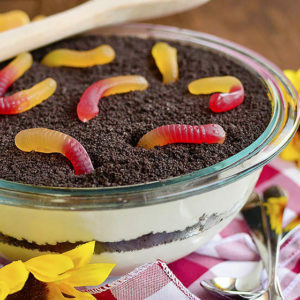 Since Easter, spring, and patio season are right around the corner though, I thought this would be the perfect time to update the photos and get this INSANELY yummy recipe back into the spotlight (and your face!) after spending six long years in the archives. The Best Fruit Dip Ever recipe is old school – we’re talking straight out of the 80s. My Mom used to make this fruit dip as an occasional after-school snack for my brothers and me, and for special occasions like Easter or summer potlucks. The texture is super whippy while the flavor is marshmallow cheesecake meets orange creamsicle. 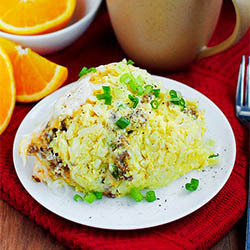 It is indescribably delicious and better yet – made from just 3 ingredients! 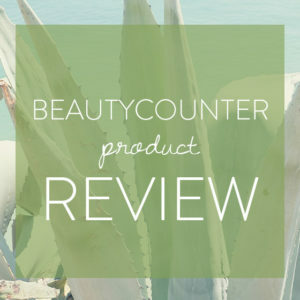 Now, I fully admit to swiping full spoonfuls of this dip straight from the fridge any time I enter the kitchen – no fruit necessary. I was supposed to take the batch I photographed over to my parent’s house for lunch this past Sunday afternoon, but forgot it in the fridge. Yeah…”forgot it”. Honestly, I did. Or did I? Anyway Ben doesn’t like creamy desserts, Lincoln has a dairy allergy, and I don’t give Cam stuff like this. Dang it, I need to start eating like my kids. All that to say, I am currently alone in the house with a big vat of fruit dip and we’re in a love/hate relationship. I need it gone, but I’ll miss it so! 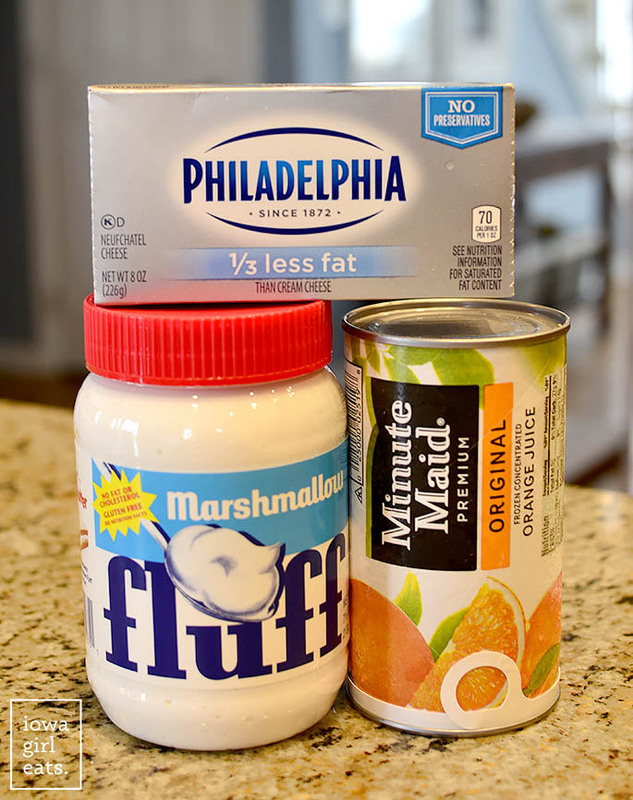 You’ll need an 8oz package 1/3 less-fat cream cheese that’s been softened to room temperature, 7oz jar marshmallow fluff (I find this gluten-free brand at World Market,) and 2 Tablespoons frozen orange juice concentrate that’s been thawed. Scoop the marshmallow fluff into a large bowl then microwave for 15 seconds. 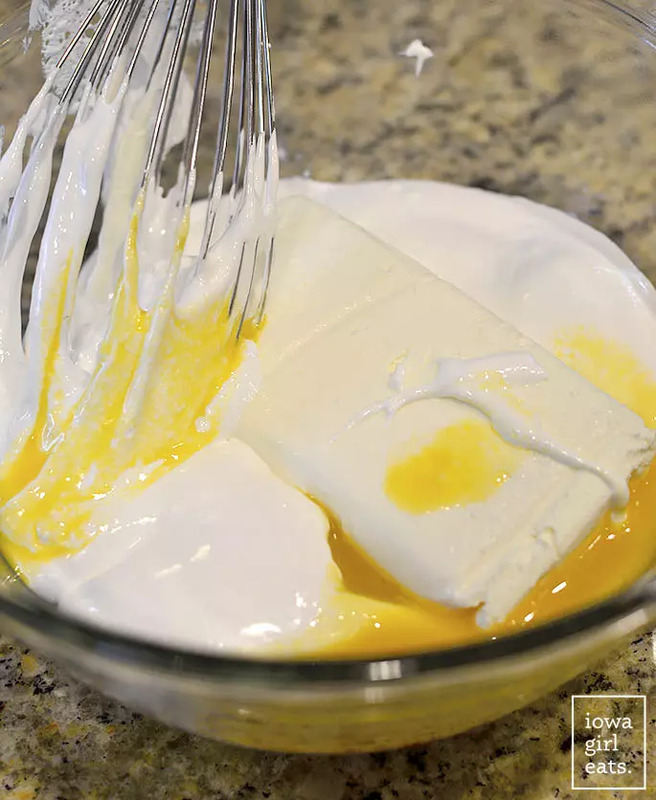 Add the softened cream cheese and orange juice concentrate then whisk until very, very smooth. That’s all she wrote! Chill the fruit dip for several hours or overnight then scoop into a serving bowl and serve with all your favorite fruits or berries. My favorites are grapes, apple slices, and strawberries. Plus that aforementioned spoon, of course. 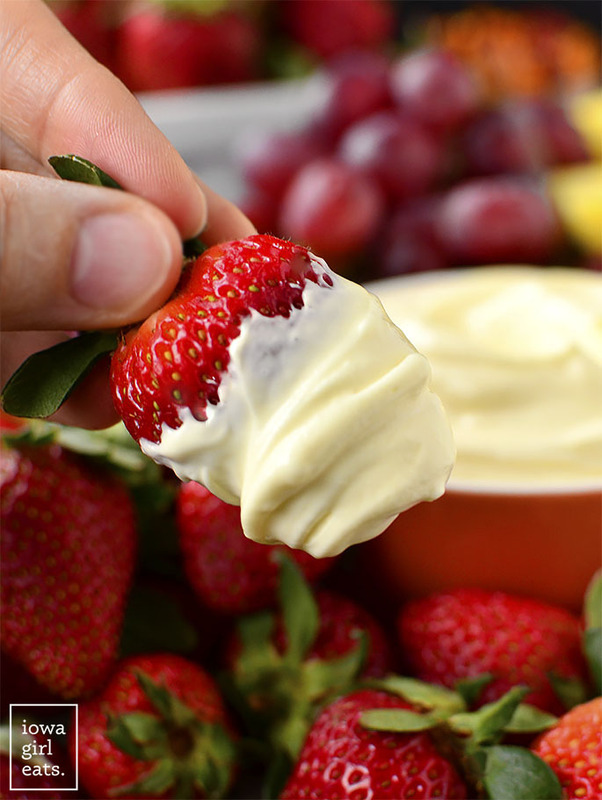 I hope you love this easy, yummy, gluten-free fruit dip recipe – enjoy! Spoon marshmallow fluff into a large, microwave safe bowl then microwave for 15 seconds. 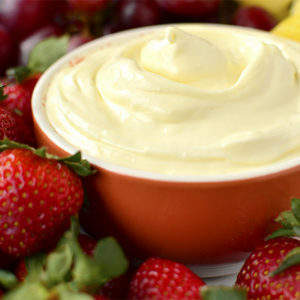 Whisk in softened cream cheese and orange juice concentrate until very smooth then chill for several hours or overnight. 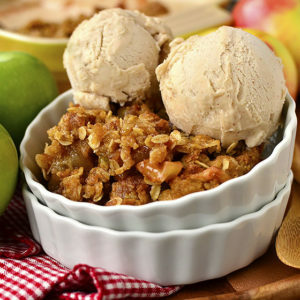 Serve with assorted fruit. 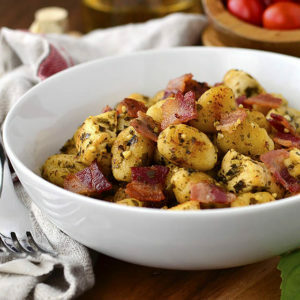 Do you have any recipes that you would recommend that would keep well in the fridge for about a week? Trying to figure out some meals for my sister who is about to have baby #2! Thank you! 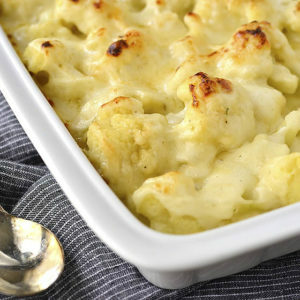 Do we have to use gluten free and low fat in this recipe? Made this twice. First time as directed with room temp cream cheese. It stayed lumpy, despite whipping a lot! Second time I microwaved the room temp cream cheese instead of the marshmallow whip. It turned out to be very smooth, as pictured! You would need to use the concentrate as prepared juice would make the dip too watery. I dont have a microwave so would I need to heat marshmallow fluff in a pan? 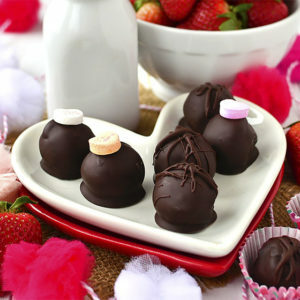 I am getting ready to make this right now for strawberries!! !